There are many different types of heart disease from the more acute myocardial infarction heart attack) to chronic conditions like ischemic heart disease and cardiomyopathy. Although the disease mechanisms may differ among these conditions, the function of the heart is essentially compromised to some extent or the other in every case. This means that blood is not being circulated as it should and therefore oxygen rich blood is not reaching all the cells of the body. Similarly blood laden with wastes cannot be carried away from various sites. 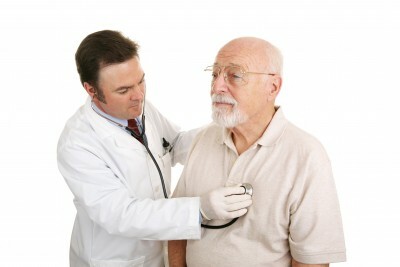 Therefore there are various common signs and symptoms which is an indicator of an unhealthy heart. Many forms of heart disease are silent. This means that there are no signs or symptoms until the disease worsens. Sometimes the disease can worsen suddenly and even lead to death within minutes and hours. Therefore depending only on the presence of signs and symptoms as an indicator of heart disease is not reliable. Certain people are more likely to be at risk and these groups should undergo routine screening on a regular basis to pick up the early stages of heart disease. This includes any person with one or more of the following risk factors. Therefore these risk factors should be seen as the first signs of a potentially unhealthy heart. However, heart disease can be present in a person with none of these risk factors but this is less likely. The early warning signs of heart disease are often non-specific meaning that these symptoms do not clearly indicate a problem with the heart. A person with an unhealthy heart should therefore not expect typical symptoms like chest pain although this is at times present in the very early stages of heart conditions like coronary artery disease. Instead one should look for the signs that the circulation is impaired and chest symptoms that may not even seem related to the heart. Difficulty breathing may not always be due to a lung disease. The heart has to circulate blood through the lungs in order to get rid of the carbon dioxide and re-oxygenate the blood. When the heart is diseased and cannot do this efficiently, the sensation of being short of breath arises. Even the breathing rate changes to try to compensate and a person runs out of breath even with slight physical activity. Normally we cannot feel our heart beating in the chest although sometimes it may become evident for a short period of time after strenuous activity. Palpitations are a sensation of the heart beating hard and fast that can occur even at rest. This may happen with certain types of heart disease particularly where the heart has to work harder to fulfil its normal function. When the heart is unable to pump blood as normal, oxygen may not reach all tissues in the body including the brain. This causes a sensation of lightheadedness or dizziness. Sometimes when the oxygen supply to the brain is severely compromised, there may be fainting spells (blackouts). Weakness is a broad term to describe fatigue, reduced strength, endurance and stamina. This is a common generalized symptom in heart disease although the exact cause is not always clearly identified at the outset. It extends beyond just physical activity, and even impacts on mental work and sexual function as well. Peripheral edema as it is known is a swelling of the parts of the body that are farthest away from the heart – the hands and legs. It is more easily spotted in the legs and may indicate the blood is not able to return to the heart as it should. While there are a host of other causes of leg swelling, the possibility of it being due to heart disease should not be ignored. A healthy heart will allow for freshly oxygenated blood to reach even the most distant part of the body. When the heart is diseased this may not occur as efficiently. Certain parts of he body like the toes and fingers may then become pale and turn blue especially with cold. When the heart disease is severe, paleness and even bluish skin color may be evident throughout the body. Those Living Healthy Lifestyles are many times more likely to live longer lives and lead fuller, more active “golden years”.